The BSAVA Formulary is the indispensable guide to drugs used in veterinary practice. BSAVA members have access to both parts of the Formulary as part of their membership benefits. Non-members may use this page to purchase a 12-month ‘Formulary Plus’ subscription, which includes part A covering cats and dogs, part B devoted to exotic pets, and access to our client drug information leaflets. The 12-month access will include any updates published during the subscription period. 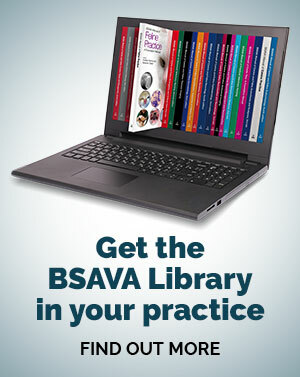 Please note that BSAVA membership provides access to all of this content, and much more - for information about membership visit the BSAVA website. Printed copies of both parts of the Formulary can be purchased from the BSAVA shop. 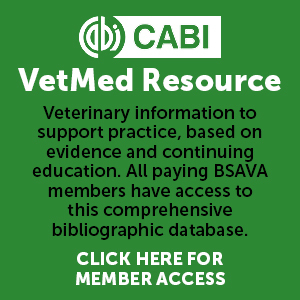 The BSAVA Small Animal Formulary continues to be one of the Association’s most valued practical resources for veterinary surgeons. Part A, devoted to cats and dogs, includes doses and other species specific information, with references where available, and useful appendices including sedation and chemotherapy protocols. Last amended February 2019 with minor corrections and updates. As the popularity of exotic pets has increased, the requirement to extract and expand their sections from the BSAVA Small Animal Formulary has arisen. Following the tried and trusted format of previous editions of the Formulary, Part B of the 9th edition covers small mammals, birds, reptiles, fish and amphibians. It includes doses and other species specific information, with references where available, and useful appendices including sedation and chemotherapy protocols.